Customary law (звичаєве право; zvychaieve pravo; also known as the unwritten law). Norms of conduct that are practiced in society because they have been accepted for a long time and are regarded as obligatory. Customary law, some of whose norms and institutions predate written law, is the oldest legal system. As the legislative activity of the state developed, the role and extension of customary law diminished. Yet, customary law continues to exist alongside written law as a supplementary source of legal order. At one time customary law had an influence on the codification of law. Common law, which was originally based on customary law as it was formulated in judicial pronouncements, is the law of the land only in countries that have English law. As part of the national culture, customary law is permeated with the beliefs and attitudes of a given people and is the product of popular ethics of justice. Customary law in Ukraine dates back to prehistoric times. In the Princely era legal relations were governed by customary law, which was eventually codified in Ruskaia Pravda (Rus' Truth [Law]). The decrees issued by the princes explicated customary law rather than creating new law. With the demise of Kyivan Rus’ Ukrainian customary law continued to operate even under the Tatars, who did not interfere in the internal affairs of their conquered territories, and then under Polish hegemony. For a time Poland recognized Ukrainian customary law as Rus’ law. The norms of Ukrainian customary law were also preserved under Lithuanian rule and were codified in the Lithuanian Statute, which to a large extent, particularly in respect to civil, criminal, and procedural norms, was based on ancient Ukrainian customary law. The principle governing the legislative authority of the Grand Duchy of Lithuania was that old traditions should not be tampered with and innovations should not be introduced. Lithuanian land statutes and protective charters guaranteed the validity of the old customary law in certain Ukrainian territories or for certain groups of the population, while writs of privilege restricted the application of customary law. In spite of providing detailed regulations for various legal relations, the Lithuanian Statute acknowledged the auxiliary role of customary law: if a specific law was lacking, then a judgment was based on ancient custom. In the Lithuanian-Ruthenian state the community courts were a judicial institution based on customary law. They continued to operate in the Cossack period, but their importance gradually diminished. 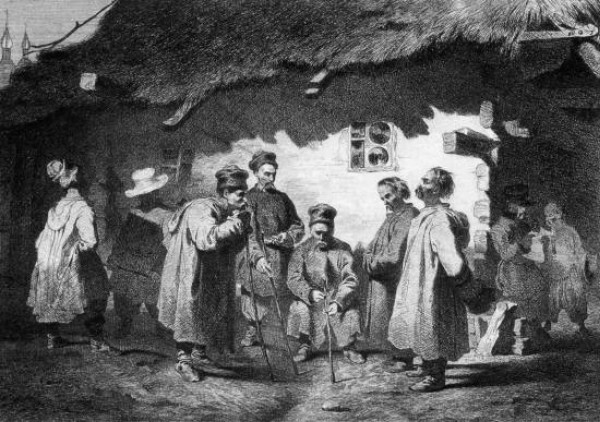 The legal systems that operated in Ukrainian territories in the 19th and 20th centuries prior to the Soviet period recognized the auxiliary function of customary law. The Russian civil code of 1864 provided for the application of customary law in questions of inheritance, family relations, or land if the code lacked the relevant laws. But the norms of customary law manifested themselves in the popular sense of right and wrong and in the typical institutions and legal relations governed by tradition and custom (communal use of pastures and forests, certain labor relations, inheritance law and marriage arrangements, etc) more than in the state courts. The authority and acceptance of these norms, as well as the sanctions, were based on public opinion. Soviet law did not recognize customary law, not even as an auxiliary factor. However, the principles of Ukrainian customary law continued to manifest themselves in the popular consciousness, and various legal customs continued to be applied in certain legal situations, but without state support. At the beginning of the Soviet period efforts were made to recognize the auxiliary role of customary law in certain civil and property relations. Today, however, it is treated as a historical category. Ukrainian customary law is vividly reflected in the folklore (proverbs) and in the folk customs. It has been reflected more than the written law has been in certain symbolic acts and rituals (placing an elected prince on the throne, sprinkling an elected otaman with ashes, breaking the handshake in concluding an agreement, etc). In Ukraine customary law has had regional variations, but has retained the same basic values and legal principles. Customary law became an object of study in the 19th century. The following Ukrainian scholars were among those who devoted attention to it: Pavlo Chubynsky, the author of Ocherk narodnykh iuridicheskikh obychaev i poniatii po grazhdanskomu pravu v Malorossii (An Outline of Popular Juridical Customs and Concepts of Civil Law in Little Russia, 1869); Petro S. Yefymenko; Orest Levytsky; Aleksandra Yefymenko; and Fedir Shcherbyna. In the 1920s a special Commission for the Study of Ukraine's Customary Law was formed at the All-Ukrainian Academy of Sciences in Kyiv and published Pratsi Komisiï (Transactions of the Commission, 3 issues—1925, 1928, and 1928) under the editorship of Arnold Kryster and Yoanykii Malynovsky. The two editors and the following did research on customary law: Stepan Borysenok, O. Dobrov, Ye. Yezersky, Viacheslav Kaminsky, Mykola Tovstolis, Irynarkh Cherkasky, and Borys Yazlovsky. Yoanykii Malynovsky raised the question of the emergence and investigation of ‘revolutionary Soviet’ customary law. Less attention was devoted to customary law by scholars in Western Ukraine and in the diaspora. Most of the research in this field was done by Volodymyr Okhrymovych, Rostyslav Lashchenko, Andrii Yakovliv, and Oleksander Mytsiuk. Much valuable material is scattered among general ethnographic publications. In the 1930s the Soviet authorities proscribed customary law as a subject of research.